In honor of the 50th anniversary of 1963, a major year in the Civil Rights Movement, students from the Disney Dreamer's Academy sound off on what race means to them today. 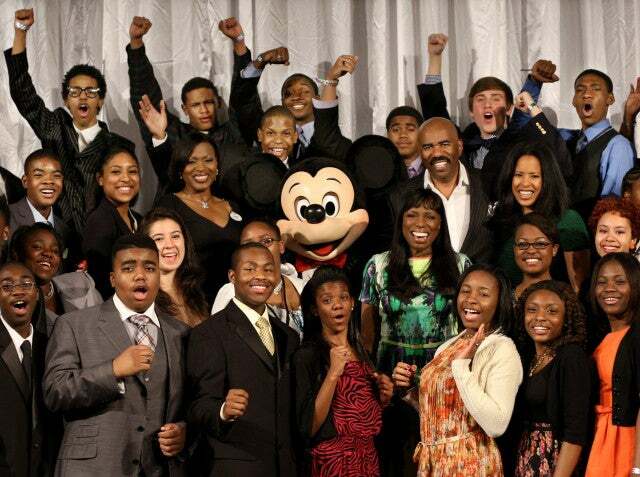 Imagine what your life would be like today if, as a teenager, you were a part of an educational immersion at Walt Disney World and mentored by titans of industry such as producer Will Packer from Rainforest Films, Mikki Taylor, ESSENCE Magazine editor-at-large, or TV host and entertainer Steve Harvey. Think you would be further along in realizing your dreams? I know I would. For 100 high school students, selected out of 5,000 applicants around the country, this once-in-a-lifetime opportunity became their reality this past weekend at the Disney Dreamers Academy. Hosted by Harvey, in partnership with ESSENCE Magazine, students were brought to Orlando, Florida, for a powerful four-day program designed to help make their dreams come true. Led by industry experts and celebrities, the “Dreamers” learned useful communication, networking, career planning and personal development skills. Seeing the hope and excitement on the faces of the next generation of leaders talking about their dreams was exhilarating. As we celebrate the 50th anniversary of 1963, a pivotal year in the Civil Rights movement, it was inspirational to see how far we have come as a race…or have we? Below, a few of the Dreamers share their thoughts on race, our progress as a people, and their dreams for the future.